FREEDOM MOTORS AUSTRALIA would like to introduce the latest model Toyota Tarago (2006 and beyond) Freedom Van wheelchair conversion to its range of wheelchair accessible vehicles. 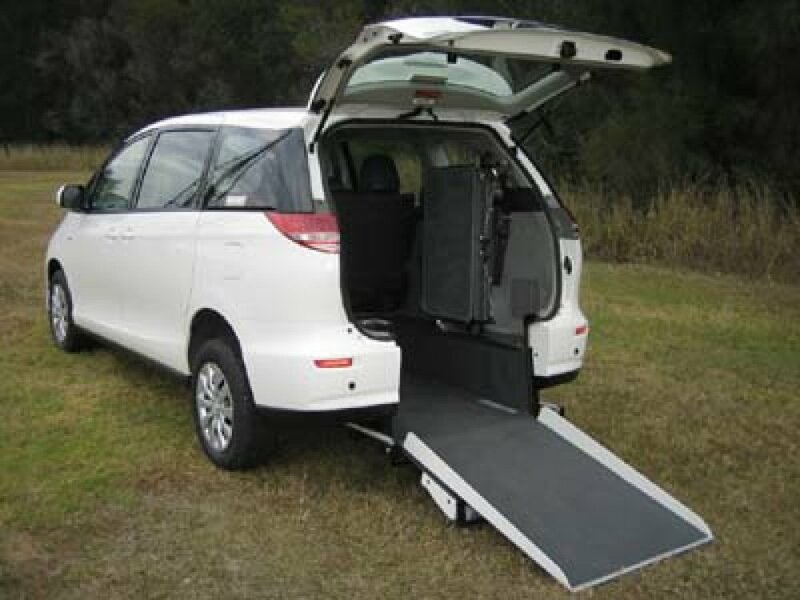 The new Toyota Tarago Freedom Van wheelchair accessible vehicle conversion is now available to order. 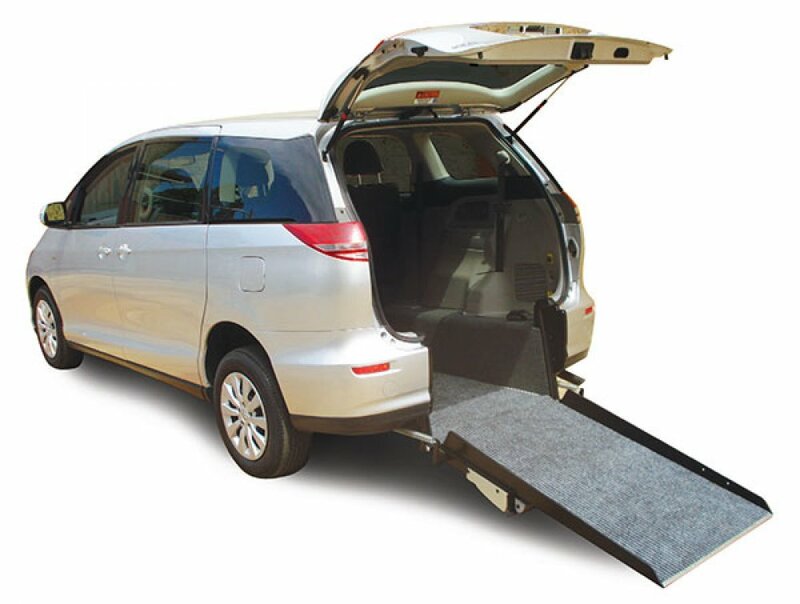 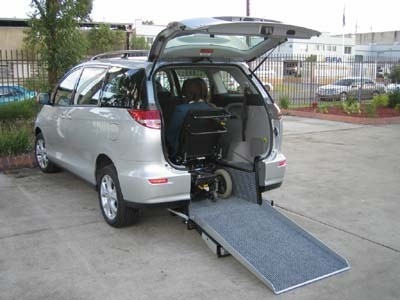 Freedom Motors is very proud to be the first in Australia if not the World to bring you the Toyota Tarago Freedom Van wheelchair accessible vehicle. Since then, many have tried to copy, but have not been able to copy our quality, safety and reliability. 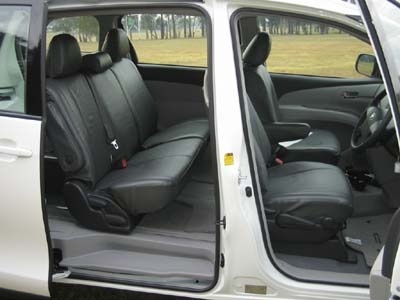 Remember, if you are offered a cheaper copy of our conversion, that is what you will get, a cheaper copy. This vehicle has been updated from the previous model. 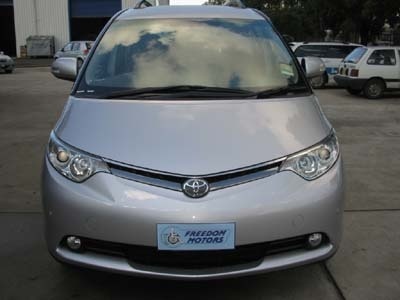 This vehicle is very popular, because it is compact but will still carry a family. Available both as a Family and Passenger Conversion, there is lots of room. There are 2 types, the standard and the premium conversions. The standard model is similar to the previous conversion where the lowered tray has been designed to fit over the rear axle. This model has some height and conversion design restrictions. 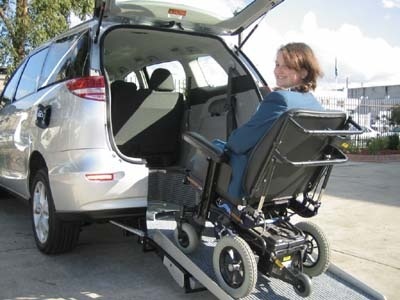 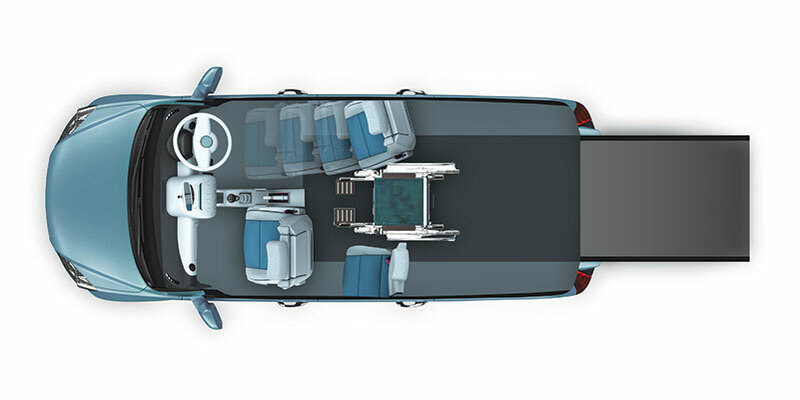 The premium model however has a complete flat floor because of Freedom Motors unique rear suspension system making it even easier to get in and out of the vehicle and will suite the medium t taller wheelchair occupants with the minimum restrictions. 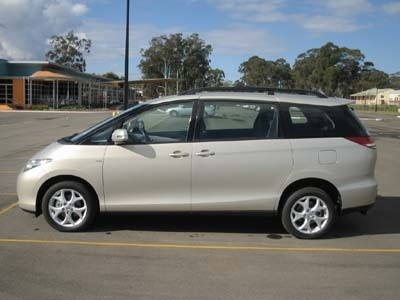 The Toyota Tarago is a very reliable and easy vehicle to drive with a price tag between the Kia Grand Carnival and the Chrysler Grand Voyager models. 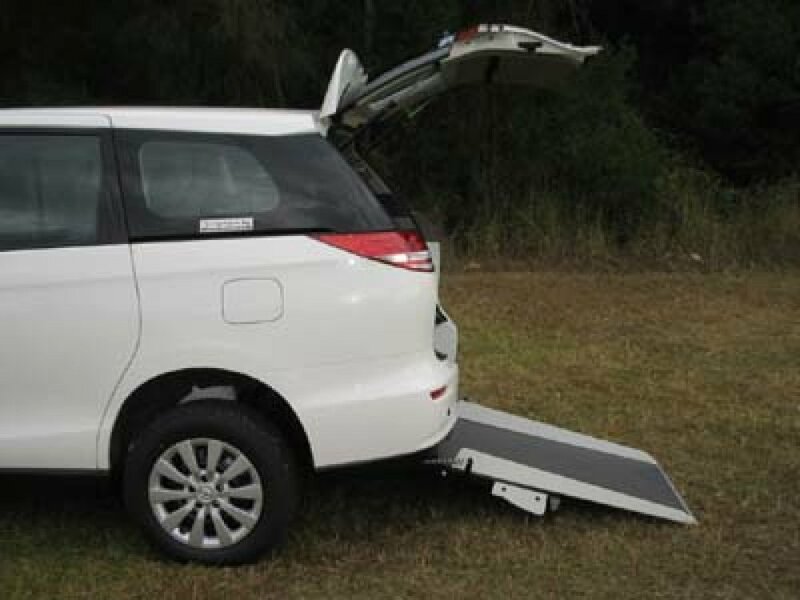 Many options are available for this conversion. 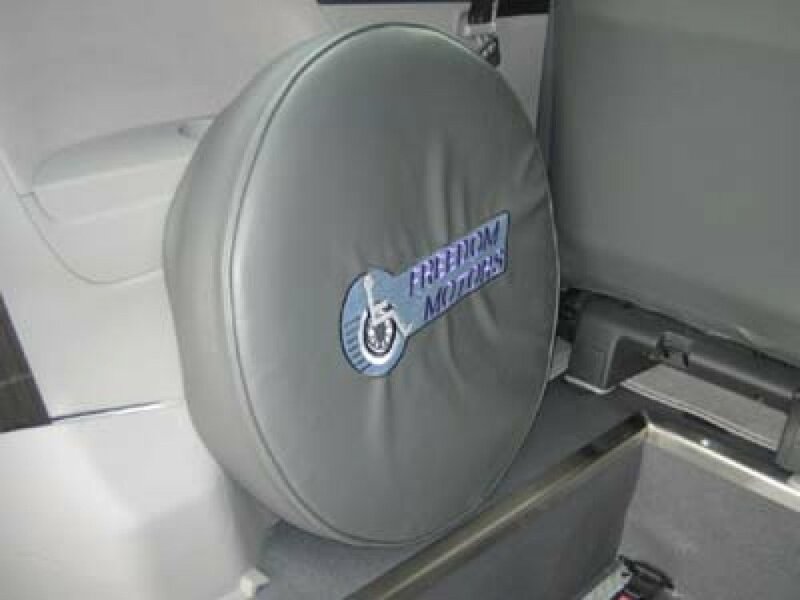 Reversing sensors, reversing mirror / camera system, side steps, fold-down double seat, electric wheelchair restraints, electric opening and closing ramp, remote opening and closing tailgate and ramp system and offcourse our ever popular Wheelchair Docking System designed by Freedom Motors, eliminating any use of wheelchair holding straps resulting in only a few seconds to lock or release the wheelchair. If you are looking for a self-drive wheelchair conversion and you can transfer from your wheelchair to the electric operated driver’s seat, then look no further, this vehicle and conversion is perfect for you.